DIY Cleaning: Is Borax Really As Green As It Seems? I originally wrote this article on assignment for Networx, a website where I do a lot of freelance work. They have tons of info on DIY home improvement, plus lots of “green lifestyle” tips and tricks. You can see all my articles here. This post is reprinted with permission. The internet is rife with homemade “green” cleaning recipes that seek to minimize toxic chemical exposure while saving money and maximizing environmental stewardship. Which is awesome. However, many of these recipes include the ingredient borax, which until recently has been touted as an all-natural and eco-friendly cleanser. Borax is most often used to fight grease (like in dishwasher detergent) and as a “natural” laundry booster (which is how it’s marketed – you’ll find it in the laundry aisle). 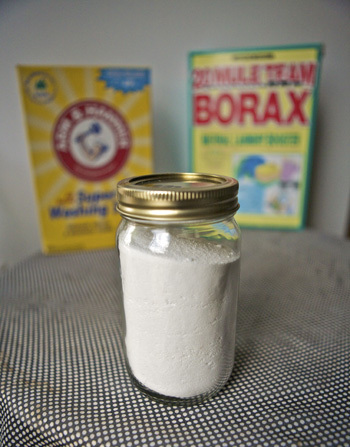 I even have borax-containing recipes on this blog. But in the latest edition of their Guide To Healthy Cleaning, the Environmental Working Group (EWG) gave borax a grade of F – “Highest Concern”. And over on Enviroblog, a leading scientist for EWG cautioned people not to use borax-containing cleansers or cosmetics. 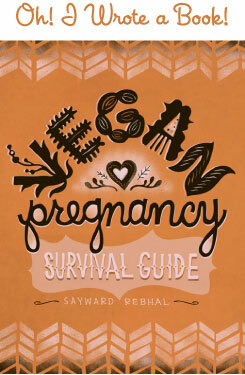 Obviously, this came as a surprise to many of us in the natural-living community, and there’s generally been a lot of confusion ever since. Borax is, in fact, a naturally occurring mineral. It is one of the salts of boric acid, a boron-containing compound, and can also be found under the names sodium borate, sodium tetraborate, and disodium tetraborate. Boric acid and its salts are used as pesticides, insecticides, fungicides, and wood preservatives. Sounds healthy, right?! Well, it’s important to remember that the borax used to clean your home (and in some cosmetics) is not boric acid. They are similar, and similarly derived, but they are not chemically identical. Most of the studies referenced by the EWG and other agencies were performed using boric acid, not borax. Just something to keep in mind. The National Institute of Health calls boric acid “a dangerous poison”. But that’s boric acid, not borax. The FDA has banned borax as a food additive. According to the EPA, boric acid/sodium borate salts are irritating to the skin and eyes and can cause acute toxicity when inhaled or eaten. The symptoms often include nausea, vomiting, skin rash, and respiratory distress. The borax Safety Data Sheet states that borax does not bioaccumulate in the body or biomagnify through the food chain. However, studies show that chronic exposure is associated with increased toxicity and more severe damage. Boron is an open-pit mined mineral. The process of open-pit mining involves drilling, excavation via explosives, heavy transport, and refining for purification. It’s destructive, and fueled by petrochemicals. It’s not pretty. However, it should be noted that 20 Mule Team Borax, the most widely available commercial product, is extracted in California at a mine that has been lauded for it’s environmental standards. It is considered to be one of the cleanest running mines in the world. Still, remember that’s clean . . . for a pit mine. America’s Environmental Protection Agency is still mostly neutral on its safety, but the European Union has flagged it as a “Substance Of Very High Concern” and Europe’s International Chemical Secretariat places borax on its SIN list of hazardous chemicals. Upon reviewing all of this information, it seems that there is still some question as to the safety of borax itself (as opposed to boric acid) and its impact on human health. Therefore, the decision of whether or not to use borax in your homemade cleaning products will have to be a personal one. As for me? I’m coming up with new, borax-free recipes . . .
As a fellow ecologist, veggie, blogger, lady (we share many adjectives) I really appreciate articles like this from you. Not that non-scientists cannot provide info like this, but I trust that you have looked into primary literature or could at least sport some shady scientific reporting if you saw it. I’ll have to think about this as one of my summer projects is rehauling and re-greening my cleaning routine. Very in depth and good to know! Thank you! Green cleaning for the win. Im disappointed to read this as I just bought a box of it today for the home made laundry soap i just made. I ll use it up, but could you please inform me when you encounter a DIY borax free laundry soap. And Id like to mention that after stumbling upon your website today, i feel very motivated to reinstate my go green efforts. You’re incredibly inspiring and I look forward to digging into your blogs more :) Thank you for sharing all of this. I love this site. Thanks for that!! Have you perfected a borax free laundry recipe? Not yet, still woking on it!